Play areas for children in the parks and squares in the city are amazing … with imaginative climbing frames, swings and slides and so on that take a huge range of forms and styles. 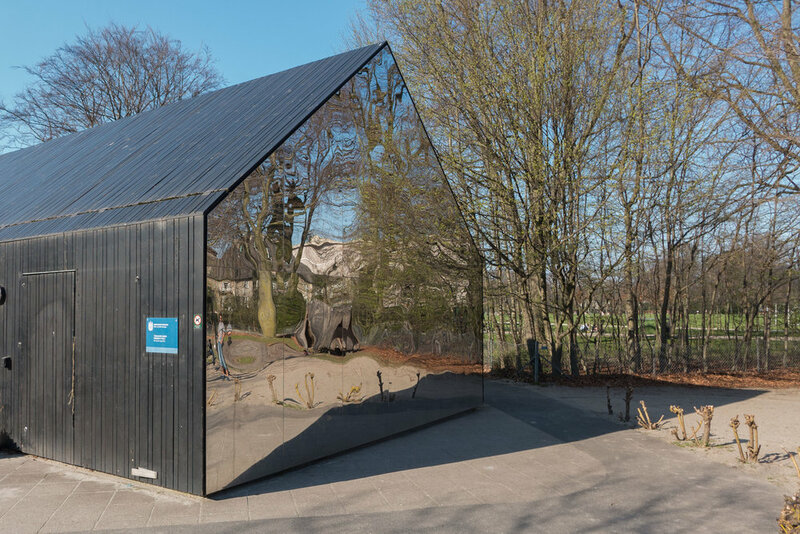 Simply from an architecture view point, probably the best is the play area at the south corner of Fælledparken in Østerbro. 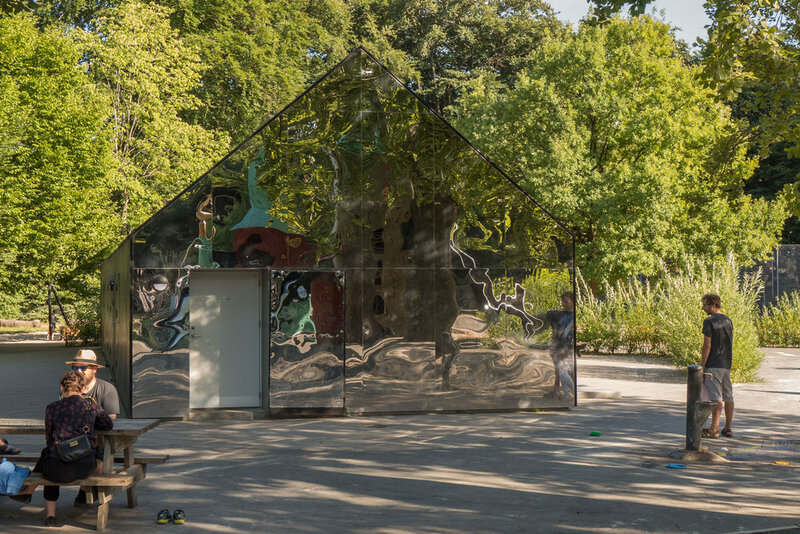 As part of extensive improvements to the park in 2011 and 2012, the play area was completely redesigned by GHB Landskabarkitekter with the company PlayAlive. 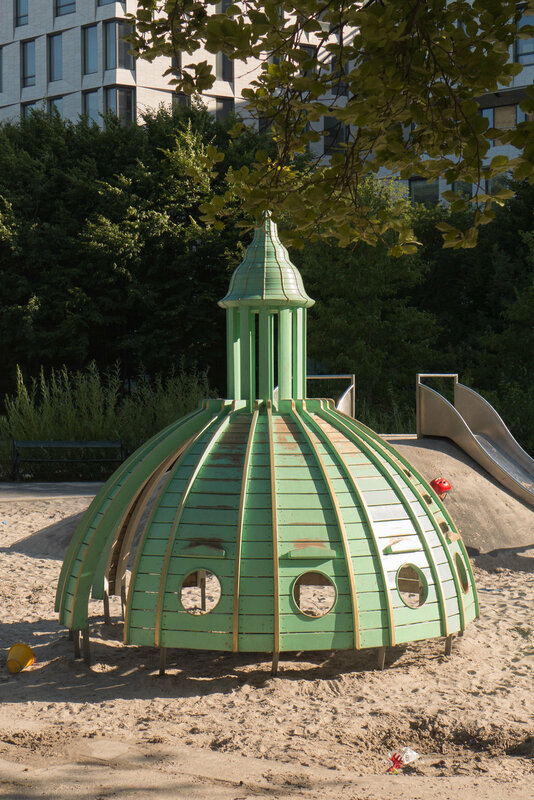 There are enclosed courts for ball games and a small skateboard area but the really distinctive feature here is play equipment that is modelled on the old towers and domes and spires of the city … so here you can find a version of the dome of the Marble Church, the Round Tower, the spire of the City Hall and the spire of Boursen, the 17th-century exchange down by the harbour. It’s a great way to introduce even small children to the idea that good architecture can be fun … so the games can go further as a learning process if children begin to recognise and name buildings as they go around the city. There was an existing park building here when work on the new play area was initiated - a long low building with a pitched roof for park and play equipment and toilets but it went through an absolutely astounding transformation with design work by the architectural practice MLRP. 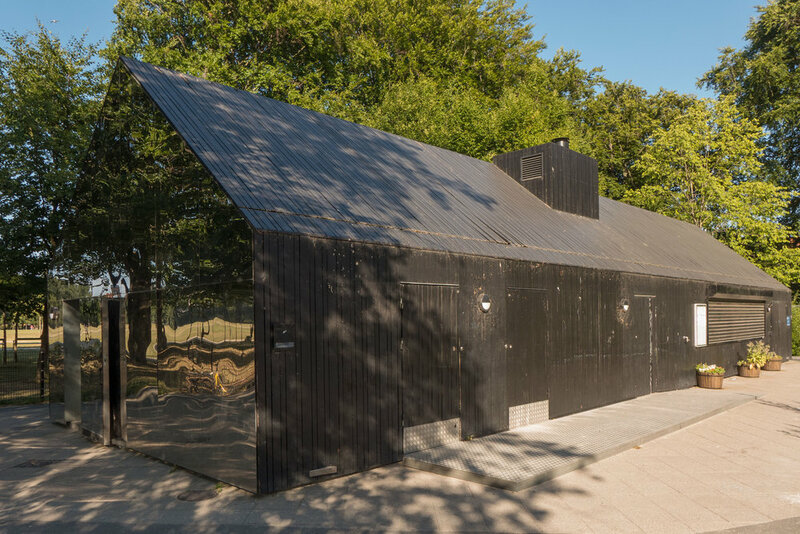 The long side walls and the roof were clad with heat-treated or smoke-blackened timber planks but it is the end walls that really fascinate children - and come to that adults - as the gables and also some of the doors on their inside faces were covered with polished steel that acts like a distorting mirror. Fun and stylish .... this is modern Danish design at its very best. Another play area in the park - Trafiklegepladsen / Traffic House - was also designed by MLRP as an area laid out with small-scale roads and junctions and road crossings and traffic lights where small children learn to ride their bikes before going out onto busy public roads.